The Cedar Rapids Gun Show will be held next on May 31st-Jun 2nd, 2019 with additional shows on Sep 6th-8th, 2019, and Nov 8th-10th, 2019 in Cedar Rapids, IA. 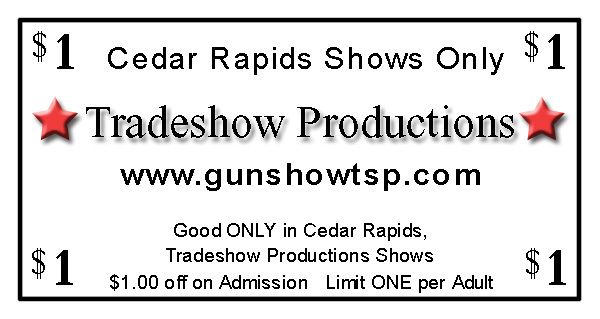 This Cedar Rapids gun show is held at Hawkeye Downs and hosted by Trade Show Productions. All federal, state and local firearm ordinances and laws must be obeyed. Probably the 2nd best show in Iowa. A great selection. Make sure you check out the back area. The best deals are back there. It is a great gun show and all vendors are friendly. It is worth your time going.